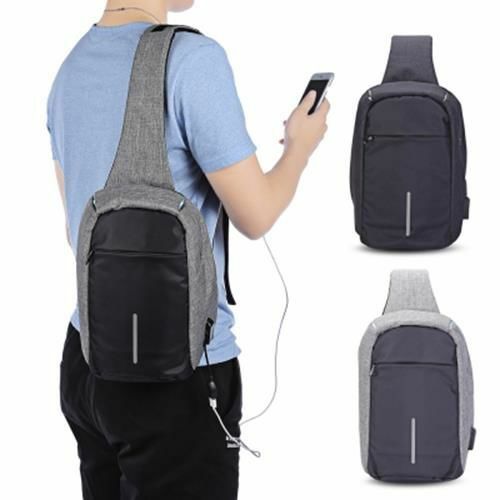 Walking in the street, some people like to listen to music but don't wanna to hold their phones in hand. 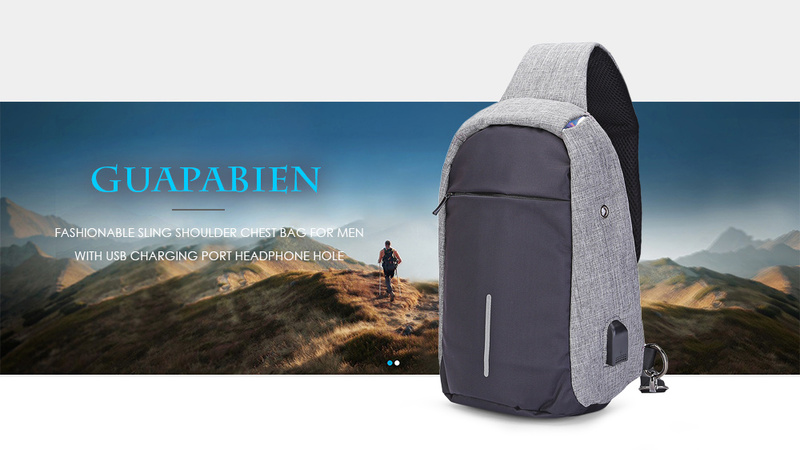 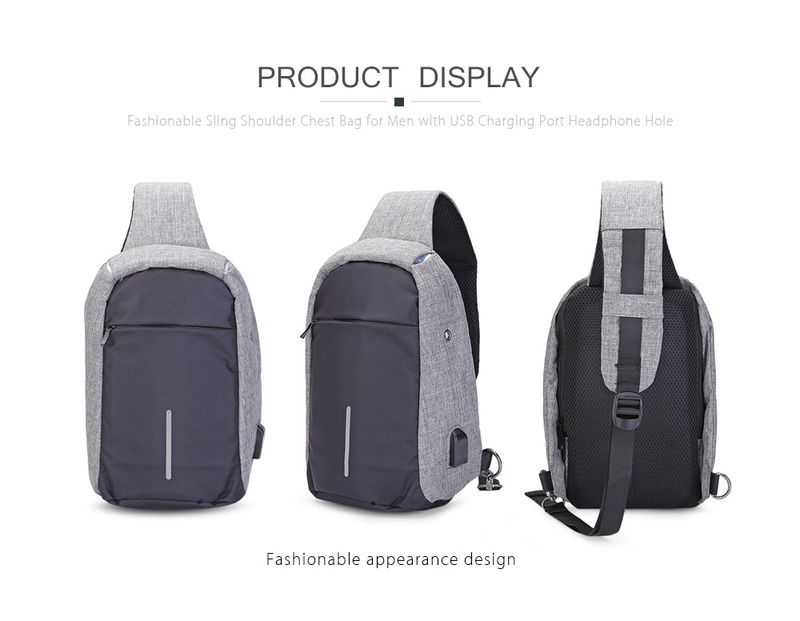 The chest bag that men love, adds headphone port will be more appreciated. 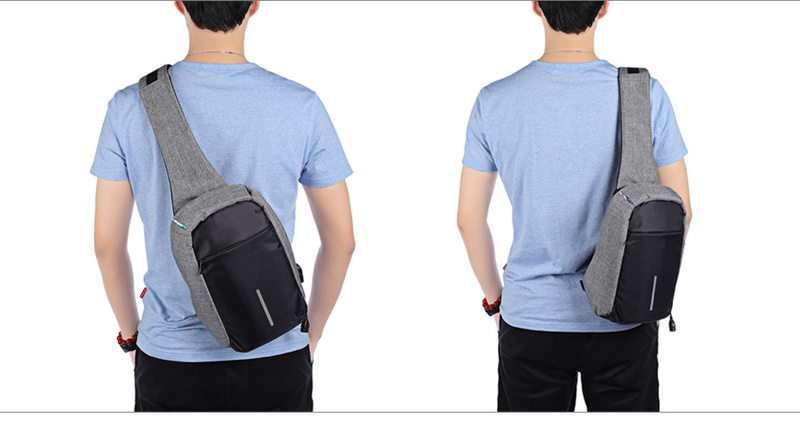 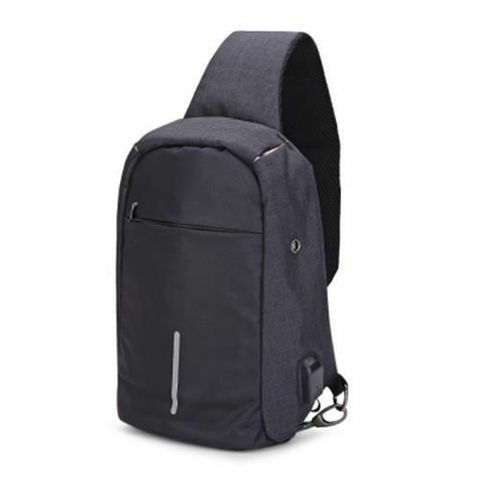 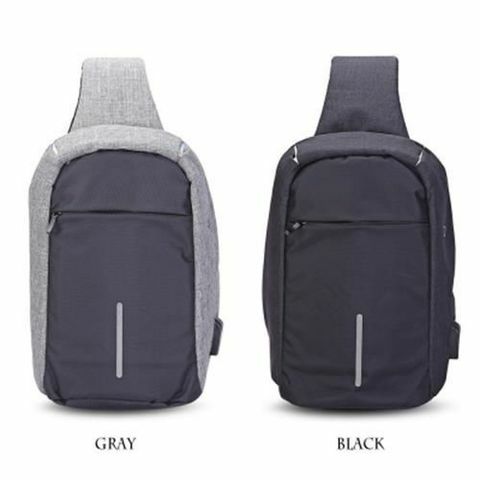 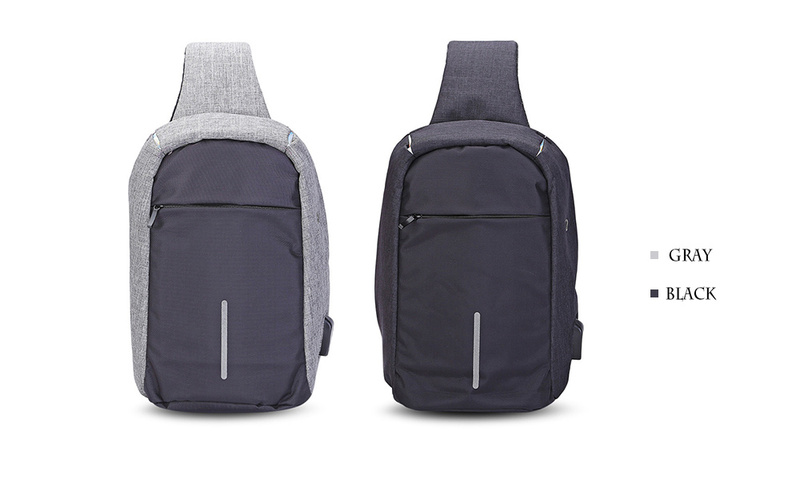 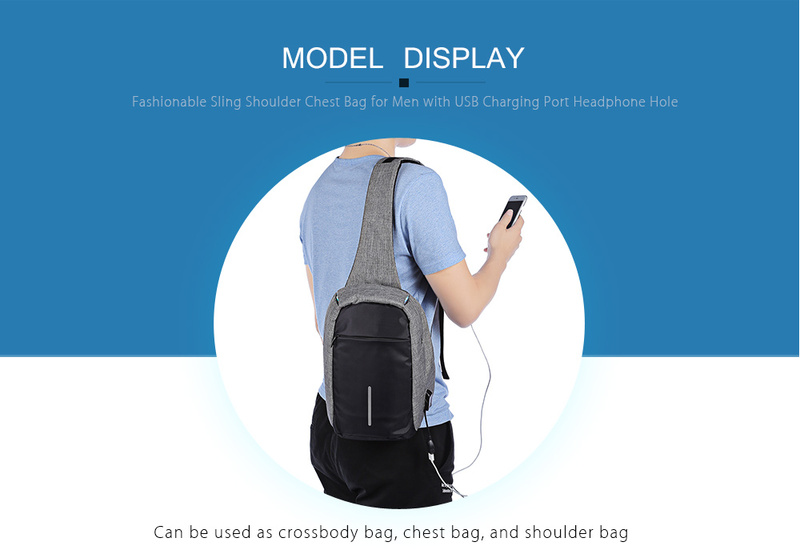 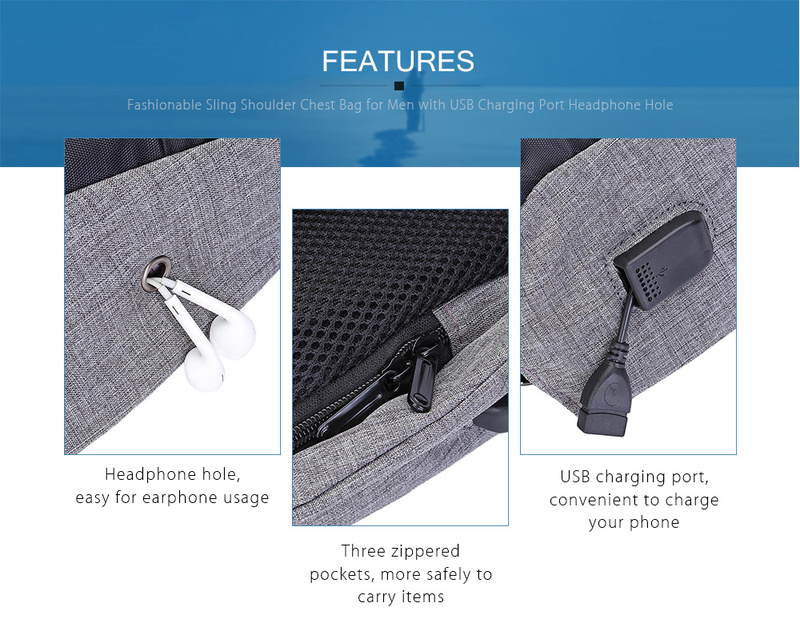 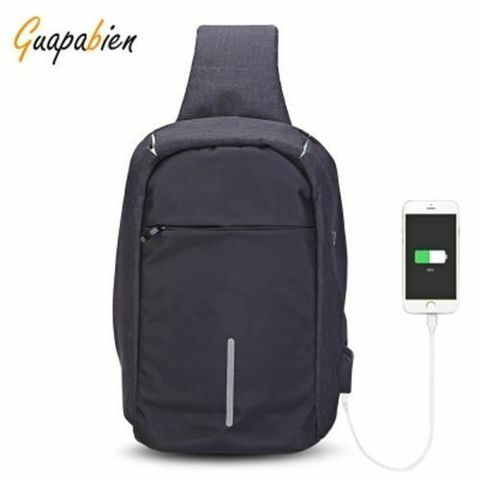 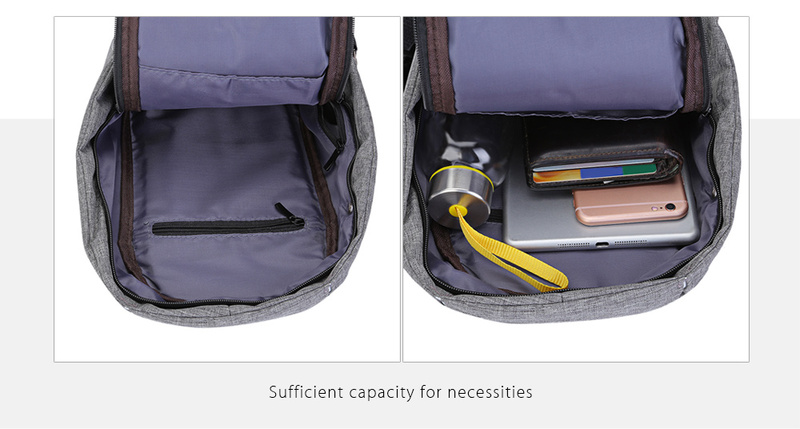 This fashionable chest bag provides a USB charging port for users to charge up so that people need not hold a mobile power supply in hand when their phones are power off. 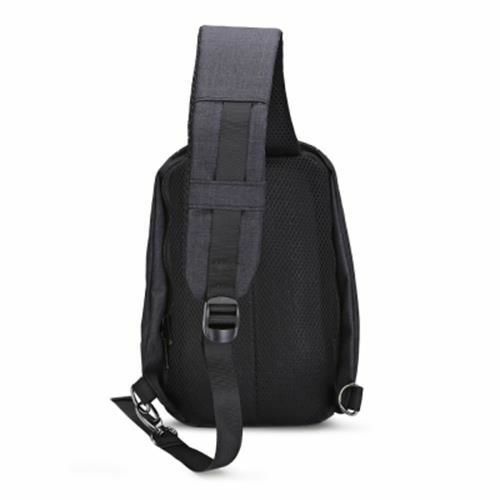 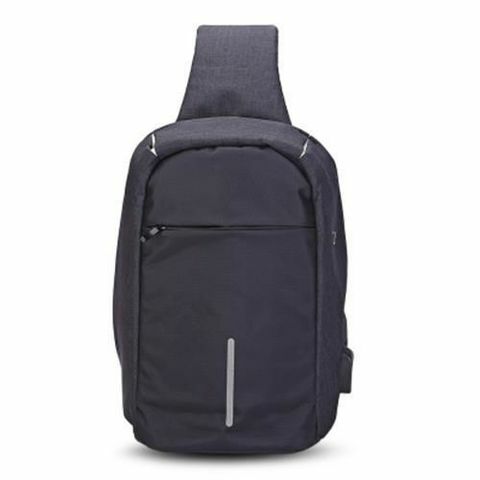 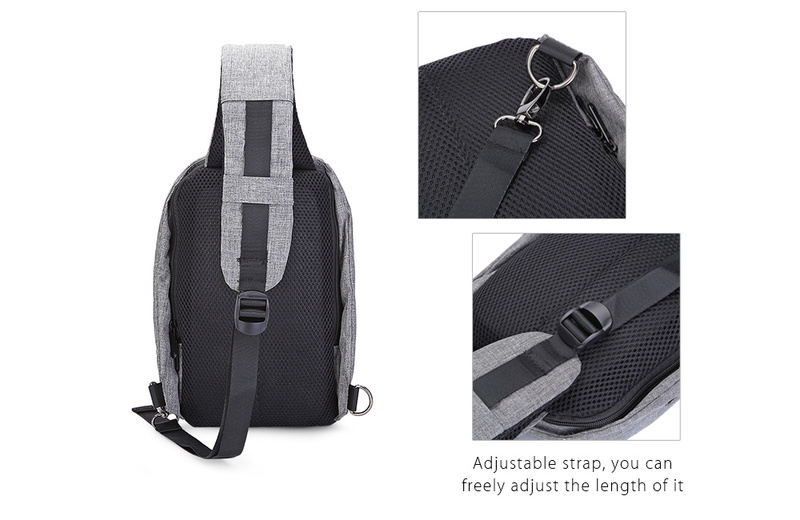 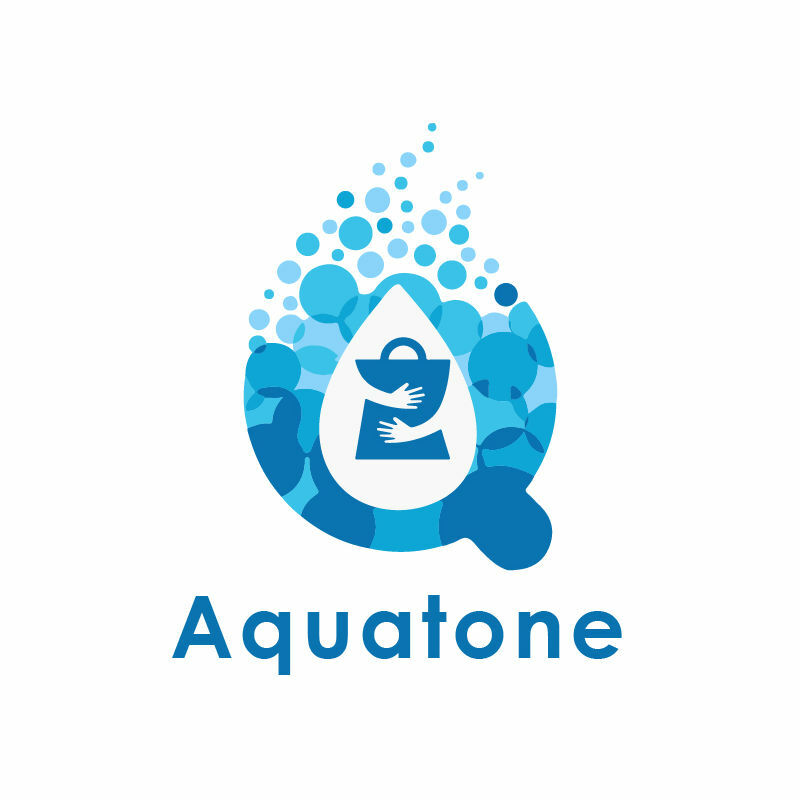 It is versatile for working, biking, running, hiking, camping.